I think we may be in the home stretch. 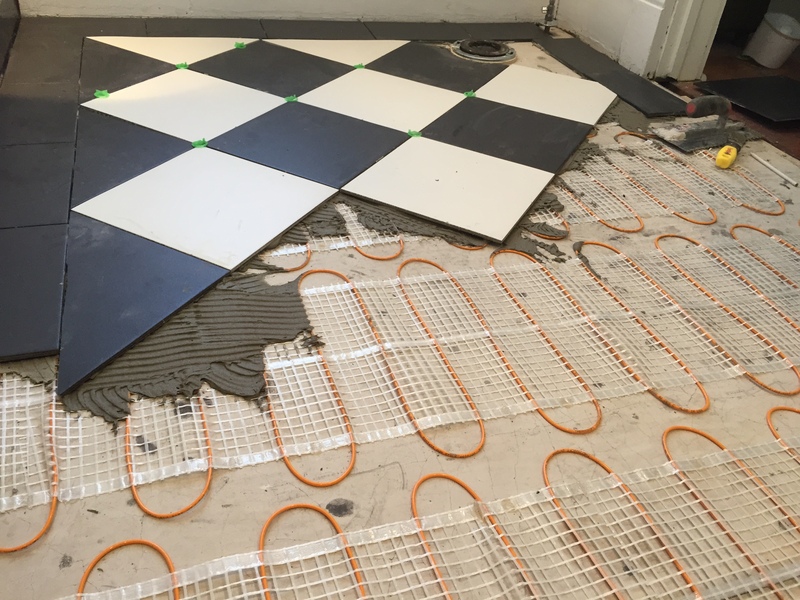 This week we have accomplished laying the radiant heat, laying the checkerboard floor (no grout yet) and hooking up one of two antique sinks. 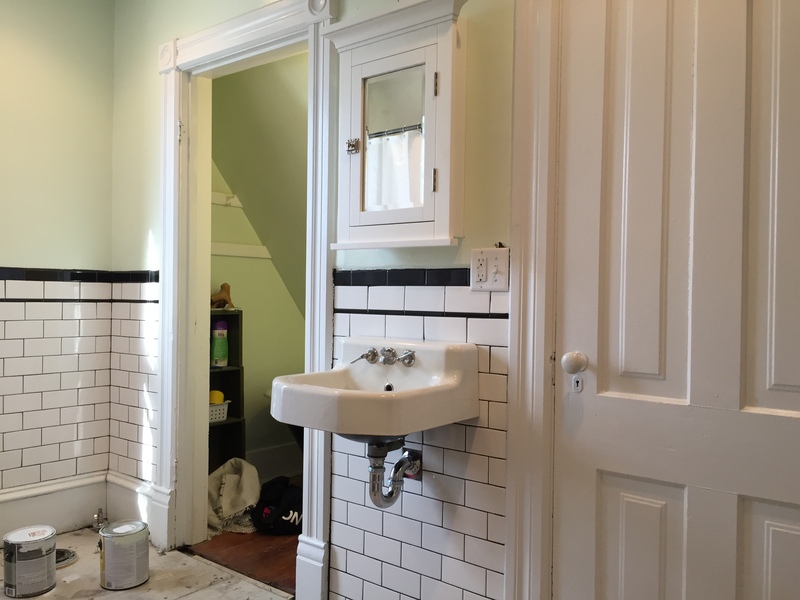 Taking our tastes and our budget into consideration, finding an antique sink on craigslist was the way to go for us- no question. A console sink like this new would cost ~$130 . The faucet would be another $100. At an architectural salvage store we went to in the cities, a near identical antique sink was $200. We found this one on craigslist for $60. Sold. The chrome drain pipes cost another $20. 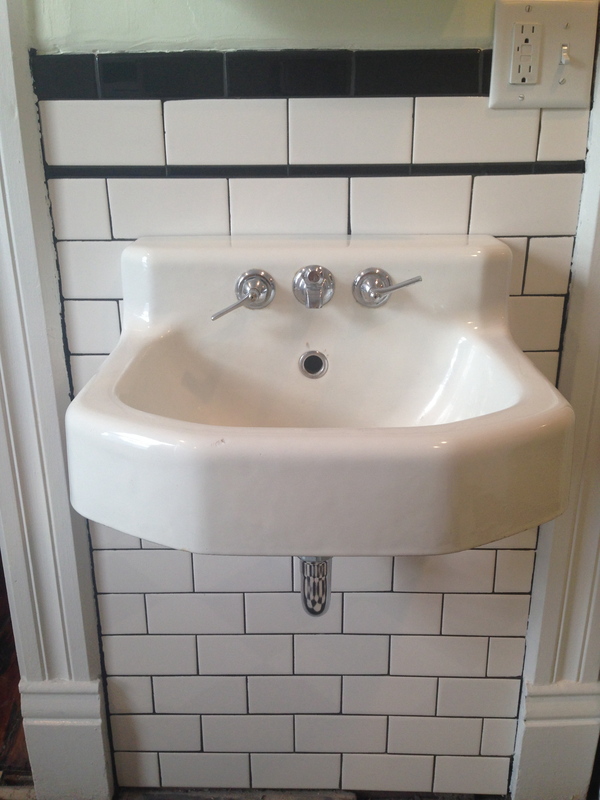 So for $80, we had a beautiful, functional, recycled antique sink that goes beautifully in our antique house. It is a kohler sink, manufactured in 1952 (the stamp was on the bottom). It was in great shape, but I cleaned up the porcelain with a little comet. The bottom had a little rust showing through, so I sanded it and painted it with the same black paint I used to paint the tub. I love the sink! It’s just perfect.